As Chief Financial Officer and Treasurer, Mike Myers leads Winrock’s finance, accounting and information, and communications and technology (ICT) functions. He is also responsible for budgets, forecasting and facilities. Myers, a certified public accountant and chartered global management accountant, has been with Winrock since 1997. Prior to joining Winrock, he held senior financial management positions with two Fortune 200 companies, Entergy and the Stone Container Corporation. Myers has been a visiting instructor — teaching graduate and undergraduate courses in accounting, management and organizational communications — at various colleges and universities. He is a director of Southern Bancorp Incorporated as well as a member of its audit and capital allocation committees; a director of the European Cooperative for Rural Development (EUCORD); a member of the Arkansas Regional Innovation Hub’s board of directors and the Arkansas State Chamber of Commerce board of directors; chair of the Riverdale Levee Improvement District and the Riverdale Harbor Improvement District; and a trustee of Henderson State University, appointed by the governor of Arkansas and currently serving as board chair. Myers was inducted into Henderson State University’s hall of fame, and was named Arkansas Business’s nonprofit CFO of the year. 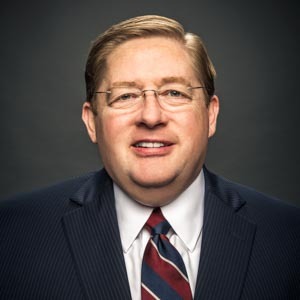 He holds a master’s degree in business administration from the University of Arkansas and a bachelor’s degree in accounting from Henderson State University.